Posted October 14, 2009 in D'Israeli. 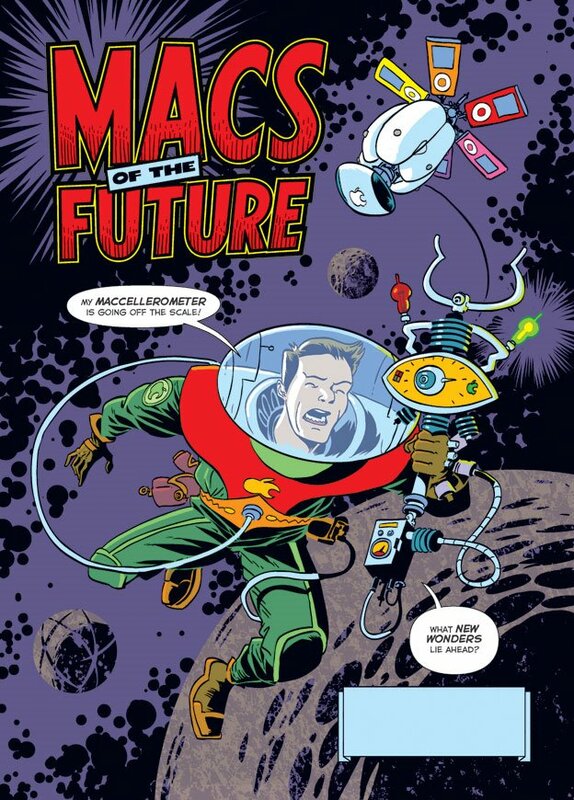 Kirby inspired magazine illustration for MacFormat, courtesy of Matt Brooker aka D’Israeli. Matt is the co-creator, along with writer Ian Edginton, of Leviathan, Stickleback, Kingdom of the Wicked and the comic adaption of H.G. Wells’ War of the Worlds plus it’s sequels, Scarlet Traces and The Great Game. For more on the creation of this piece and to download the Photoshop swatches used for the four-colour retro feel, be sure to visit Matt’s blog.